Ruby Red Shoes is a white hare who lives in a prettily painted caravan with her grandmother. Ruby is gentle, cheerful and enchanting.She is a very aware hare and loves animals and people, trees and nature, flowers and sunshine – not forgetting red shoes . . .
Ruby Red Shoes A Very Aware Hare is a charming, heart-warming tale about a hare who treats everyone's feelings with great care. 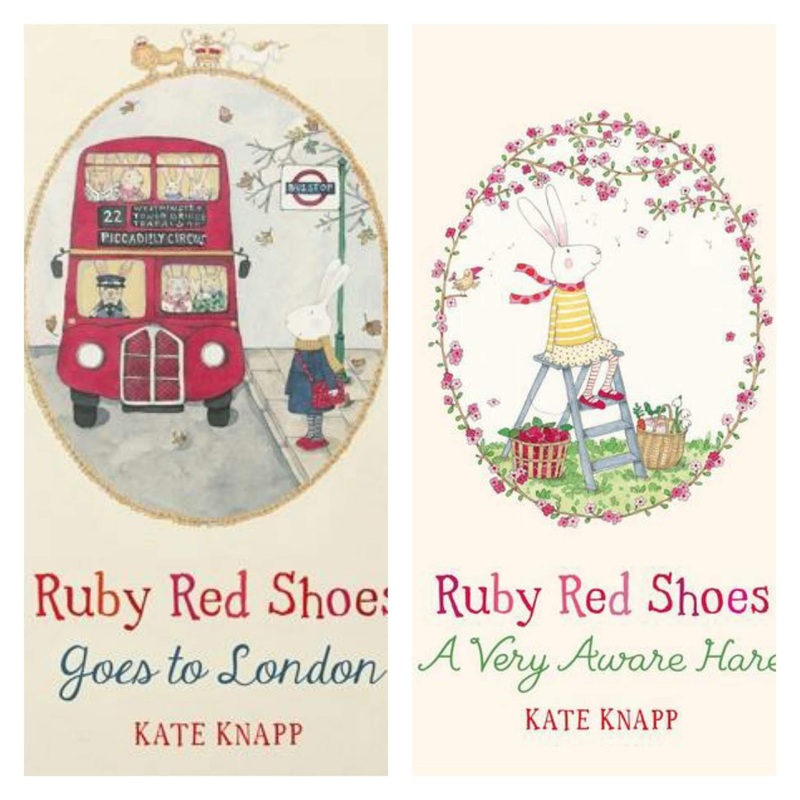 This is the first installment in Kate Knapp's Ruby Red Shoes series – follow Ruby on her next adventure in Ruby Red Shoes Goes to Paris. Ruby Red Shoes Goes to London is Kate Knapp's third installment in the Ruby Red Shoes Series.Follow Ruby Red Shoes on her adventure to London at Christmas-time, as she visits the sights, travels on theunderground, sees snow for the first time and has a surprisingencounter with the Queen! Overflowing with charmingillustrations including Buckingham Palace, the Londonunderground and Fortnum and Mason, Kate Knapp enchants and captures Ruby’s London in her idyllic Christmas scenes. Fancy getting your hands on the copies of these books plus a Ruby Red Shoes cutlery set? To win the bundle just complete the rafflecopter below and good luck! Ruby is a hare. Thanks for the lovely giveaway. Ruby red shoes is a very aware hare !! Ruby red shoes is a rabbit. Ruby Red Shoes is a hare. Awww, Ruby Red is a hare. So cute.